For Viber users, it is not just a call and messaging app. Viber stickers are also very much a part of having a fun way to communicate with each other aside from the usual emoticons. Some of the top Viber stickers in the Philippines are: Xoxo (kiss mark), I miss you, Thank you, and sticker packs such as Violet, Yango, LegCat, Noy Pi, Becky Vibe, and Vibe On. And to make sticker content much more relevant for Filipino users, Viber has collaborated with The Presidential Communications Office (PCO) and is a #PartnerForChange for the launch of www.viber.com/presidentialcom that will provide official news and announcements from the Presidential team. Watch out of the launch of #ViberForChange sticker pack on July 25 using one of the most popular expressions like "Just DU it!" and "Proud to be Pinoy." You can also get Gary V's free sticker pack- #GVonVIber. He is one of the country's legendary singer and songwriter and dubbed as Mr. Pure Energy who's iconic songs include- Shout for Joy, Di Bale Na Lang, Sana Maulit Muli, among others. 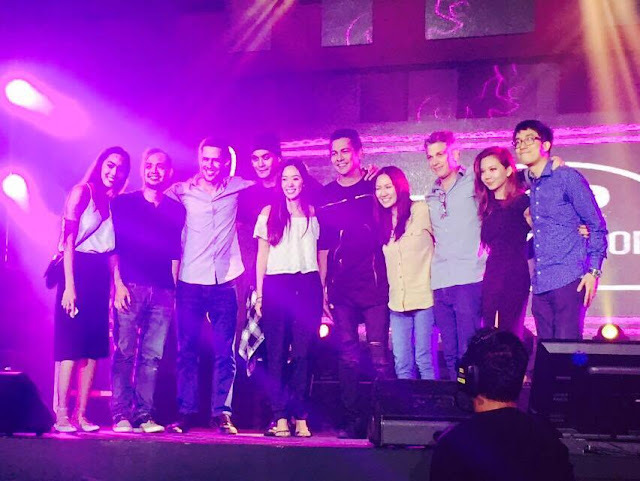 Gary V, Joey G, and soulful Nina also joined the Viber party and entertained the guests. Viber is also officially opening its doors for business and partnerships in the country. Brands, celebrities, and organizations can now partner with Viber and open branded stickers and Public Chat accounts.